Do you have a lot of money sitting idle? Do you know where to invest 1000? There is a lot of cash on the sidelines of the market. People have been scared and have a significant amounts of money sitting on the sidelines, under their mattresses, and in savings account earning little to no interest. There are better places to put this money to work like investing in the stock market. While $1,00 seems like a lot of money in today’s standards were people are having so much of a hard time making ends meet, in the grand scheme of things it is not altogether too difficult to find where to invest $1000 in today’s market. Here are ten excellent places where you can invest $1,000 today. While you’ll see some of these ideas are using the term investing loosely, it is investing in the broader sense of the word. 1. Pay Off Your Debt – One of the best places to invest $1,000 today is in paying off your consumer debt whether that be credit cards, a car loan, or any other type of consumer debt. Paying off your debt is the equivalent of Burning the same amounts that your pain and it just right as you would from an investment. For example, if you have a credit card that is charging 16% annual interest rate and you pay that credit card off, then that is the equivalent of you earning a 16% rate of return on your money. 2. Build Your Emergency Fund – Another excellent use of $1,000 in today’s market is to continue to build your fully funded emergency fund. Popular radio host and best-selling author, Dave Ramsey, recommends that everyone start with at least $1,000 in a bank account as a starter emergency fund. This is his baby step one from his book and financial plan, Total Money Makeover. The Total Money Makeover is also one of my top 10 personal-finance books that should be on everyone’s bookshelf. Actually is the number one book that everyone should read and should have a prime place on your nightstand. 3. Invest In Index Funds – For brand-new investors, the best the best place to start is an index fund which mirrors the stock market. You can either invest in index funds that follow the S&P 500 index or the Dow Jones industrial average. I typically recommend starting with an index fund that mirrors S&P 500 index. S&P 500 is the best index that closely resembles the overall US economy. You should be investing in the stock market. 4. Start A 529 College Savings Plan – If you have already started saving for your retirement, another great place to start investing your $1000 is a 529 college savings plan for your children’s college education. Like a Roth IRA, a 529 college savings plan lets you invest your money in mutual funds that continue to grow and earnings can be withdrawn tax-free as long as those earnings are used for educational expenses. 5. Invest With Lending Club – For the more advanced investor, I always recommend investing in Peer to Peer lending through Lending Club. Lending Club allows investors to earn a higher rate of interest and you normally would from a CD, savings account, or even from the stock market as a hole in most cases. I have been using Lending Club for over four years now to hurt a higher rate of return than I normally would have with other investments. While I would not recommend investing all of your money with peer-to-peer lending, is a great way to supplement your investments. Lending Club allows you to invest directly in borrowers who are looking for money for things such as debt consolidation, home repairs, cars, and many other reasons. Peer-to-peer lending allows borrowers to skip the bank and receive a better interest rate for their loans. 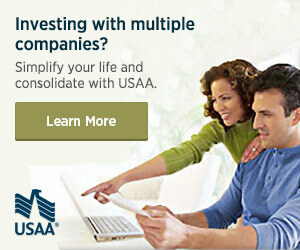 It also provides a greater rate of return by skipping the bank for investors looking for a little more return. Another interesting investment is Online FX Trading with AvaTrade. Online FX trading allows you to trade foreign currency. 6. Go Back To School – An extra $1,000 maybe just what you need to go back to school. Now you can use that money to learn a job skill or trait that can help you use it as a steppingstone for your next career or a better job. There’s nothing wrong with using extra money to invest in yourself and become even better at your current job or to help you find the job of your dreams in the future. 7. Rest And Recuperate – When was the last time that you took a mini vacation? Now may be the best time to use that money that you have sitting on the sidelines to take a little rest and recuperation vacation. While this isn’t exactly the type of investing that you may have envisioned, there’s something to be said about taking time to rest and recharge her batteries as you prepare to do bigger and better things. 8. Boost Your Roth IRA Contributions – it is not too late to continue to contribute to your Roth IRA. You have until April 15 to contribute to last year for your Roth IRA. Having an extra $1,000 maybe what you need to add or finish adding to your Roth IRA contributions for last year. Or that amount of money might be the perfect amount to help kick you into gear to start saving for the year. Lending Club even offers a No Fee IRA . 9. Pick Some Winning Stocks – I always recommend taking a small portion of your total investment portfolio and investing in individual stocks. I was thinking that investing individual stocks is a fun endeavor. It is fine to do in moderation but, of course, you would not want to do with a large portion of your stock portfolio or your retirement accounts. I’m a big fan of swing trading. I’ve been swing trading for months now with a lot of success. But, investing was meant to be fun. And you need to have a little fun with your money in some respects. And investing just $10,00 in some individual stocks and going big and gambling for that big win may just be what you need to get you back into the mindset of investing and back off the sidelines. 10. Make A Donation – And, finally, there’s nothing wrong with a little self-actualization. You could use $1,000 to invest in your community. You might want to consider making a donation to your favorite charity or spreading your donations around several charities of your choice. Like investing in yourself and taking college classes, making a donation with your money is a unique way to invest your $1,000 in today’s market. So what did I miss? Is there another way that you would invest $1000 today? What are you thinking about where to invest $1000? I love you hear your thoughts in the comments section below. Great tips, especially #1, #2 & #8. I would tend to say that if you do not have debt paid off or lack a fully funded E-Fund it should probably go there first. Beyond that I might put it in a solid index fund or a good dividend paying stock to try and grow it. Definitely agree with you John. I guess looking back I should have put these ideas into some type of order. They aren’t in any order. Great tips! Thanks! Perfect tips Hank. I think I would use $1000 to add in my Roth IRA. If I was in debt, I would take 70% and pay down my debt and the other 30% would go in my savings account. I’m a big fan of investing, saving, AND repaying debt at the same time. A lot of people recommend paying off debt then investing or saving. I think that it is much better for me mentally and my self esteem to do both at the same time. Very good tips, Hank. Along the lines of #8, if a person has a 401k account with an employer match, a good use of the $1,000 could be to ensure that he or she takes full advantage of the match. Definitely getting that matching contribution FIRST is key! You are absolutely right. It is the equivalent to a 100% rate of return for dollar for dollar matching. You are throwing money out the window by not contributing enough for the match first thing. These are great tips on how to use $1000. If I had to choose, I would probably pay off my debt so that I wouldn’t worry too much about interest rates. That’s always a great strategy!